It's been quite some time since we were really excited for a movie release. But there's a film opening this month that we have been counting the days to. No it's not Titanic 3-D or The Five-Year Engagement. If you know us well enough, you'd be able to guess. Yes, that's right. Chimpanzee. 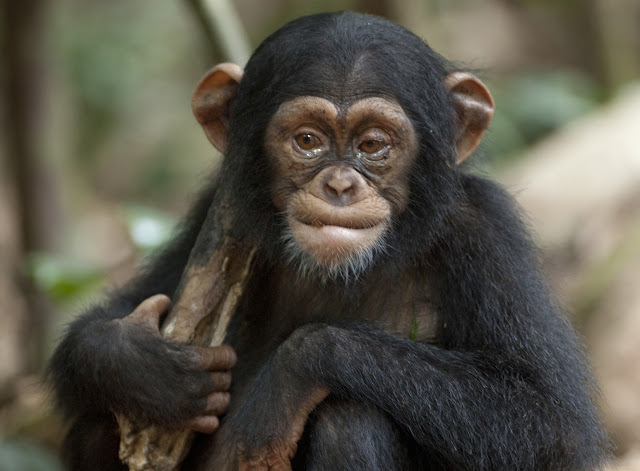 The new Disney doc follows a baby chimp named Oscar who loses his whole family to a rival band of primates. Left to fend for himself, Oscar encounters a sursprising caretaker. The movie, which is narrated by Tim Allen, opens today in theaters nationwide. If you see it during the first week Disneynature will make a donation to the Jane Goodall Institute. And if you're luck enough to live in the Los Angeles area, take in the flick at the El Capitan and be treated to a live animal show courtesy of the Wildlife Learning Center before each screening. Daily showtimes at the El Capitan are 10 a.m., 12:30 p.m., 3:45 p.m., 7 p.m. and 9:35 p.m. Tickets are available at the El Capitan Theatre box office or online at elcapitantickets.com. Check local listings for showtimes in other cities.